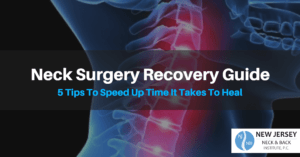 Resources for Spinal Surgery | New Jersey Neck & Back Institute, P.C. Created and backed by the American Academy of Orthopaedic Surgeons, OrthoInfo boasts over 400 articles related to orthopaedic topics. All articles are written and peer reviewed by orthopaedic surgeons with expertise in their specialties. OrthoInfo is a trusted source for patients and families looking for easily digestible information on spine conditions and procedures. With over 4,000 staff physicians and scientists employed and over 150 years of history, Mayo Clinic is one of the leaders in medical care, research and education. As part of their approach to integrated care, Mayo Clinic offers expansive patient-friendly content on their website, providing thorough education on a vast array of medical topics, including musculoskeletal conditions and treatments. UnderstandingSpineSurgery.com is a site created by Understand.com for the sole purpose of helping patients better comprehend spine disorders and procedures. Understand.com currently has over 2,000 physicians licensing content that helps patients and physicians interact better through vibrant visual aids and academic articles. Now a household name for all things medical on the Internet, WebMD is a large collaborative community made up of board certified physicians, medical journalists and moderators. They are dedicated to engaging patients with the latest medical information and news across all disciplines, including orthopaedic conditions and treatments. Created in August 1999, Spine-Health is committed to sharing unbiased, relevant and peer-reviewed information on common issues patients inquire regarding the spine and its care. 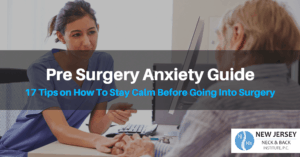 They offer comprehensive information that is combined with animations of spine anatomy for a full understanding of spine conditions and treatments, such as surgery. SpineUniverse, part of the Vertical Health family of websites, is dedicated to providing patients and health care professionals trusted information related to spine conditions, treatments and preventative care. With a unique team approach, SpineUniverse has an editorial board comprised of spine experts and is affiliated with various spine organizations to bring patients the best educational information available. As the director of NJNBI and a board certified, fellowship-trained surgeon, Dr. LaRocca (link to bio) has extensive expertise in the surgical treatment of the spine. He and the professional staff at NJNBI are committed to educating patients on spine conditions (link to conditions page) and procedures (link to surgical procedures page), so that they can make the best decisions for their care. If you would like more information on educational resources for spine surgery, back pain, or neck pain, or would like to make an appointment with Dr. LaRocca, contact NJNBI or fill out our contact form today. *It should be noted that the information provided on the aforementioned sites, while insightful, is not intended as a self-diagnosis tool. If you have questions regarding your spine health or care, contact a medical professional.